The days of living in a small town where people know each other to the point that everyone knows what everyone else was doing last night seems like a distant dream. Nowadays, many people live next-door to someone that they have never meet. This is not only a sad trend, but makes our neighborhoods just a little bit less safe. Here are 7 tips and tricks to help you be a little more neighborly. A simple thing that you can do that won't take you too far out of your comfort zone is to wave at people when they drive by. It's a simple gesture that will help people feel more at home in the neighborhood. Even if you don't know the person who is driving, you should wave anyway. Who knows, they might know who you are and they might be upset that you didn't wave. Your neighborhood will be a safer place if you know your neighbors. Walk over to their houses knock on the door and introduce yourself. This will feel a little bit awkward at first, but if you want to make new friends you have to make an effort. If you need to, give yourself an excuse to go over to their house, i.e. you had some extra vegetables in your garden that you wanted to get rid of before they went bad, you made far too many cookies and would like to share them with someone, or notice that they’re out doing yardwork and you’re about to do yardwork too, so say hello. One of the best things that you can do if you want to be more neighborly is go for frequent walks in your neighborhood. it will give you the opportunity to see and meet new people, as well as get familiar with the neighborhood that you live in. Of course you should always be safe when going out for walks, so don't go walking by yourself late at night. This seems like a silly thing to do, especially if you don't know your neighbors real well, but by borrowing something you open the door to further interaction. Start with something small such as an egg or a cup of sugar. In a few weeks they might come over to your house to borrow something too. Pretty soon you will have a friendship blossoming. Once you have established a good relationship with your neighbors, you should invite them over to your home for a movie night, dinner, a party, etc. even if they decline the offer, they will appreciate that you went out of your way to invite them over to your home. In the future they might return the gesture. You can host a large potluck and invite many families, or you could keep it simple and invite just one family over. Collaborate with a few other families in the neighborhood, and throw a fun neighborhood party. Pick a date, reserve a local park or community center, and then hand out invitations to everyone in the neighborhood. Make sure that you remember to plan games and other activities for the kids. To relieve some of the pressure and stress, ask everyone to bring a treat or side dish to share. It may also be a good idea to ask for RSVP’s so you have an idea of how many people to plan for (keep in mind that only one-third to one-half of those who will attend will also RSVP). 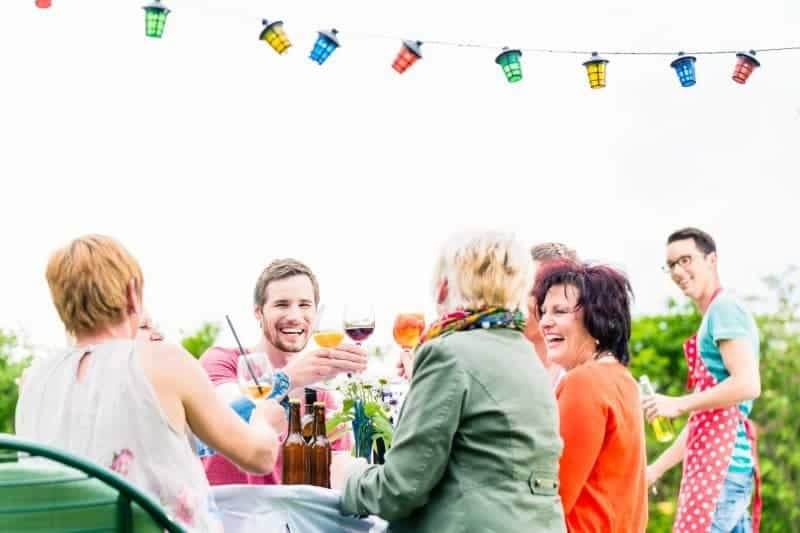 Of course you should always ask around to make sure that your party is not conflicting with any city events, or neighborhood events that are already in place, such as a summer block party. Children have an easier way of making new friends than adults, so you can use them to meet your neighbors. If it's too uncomfortable to meet new people, have your children meet them first. 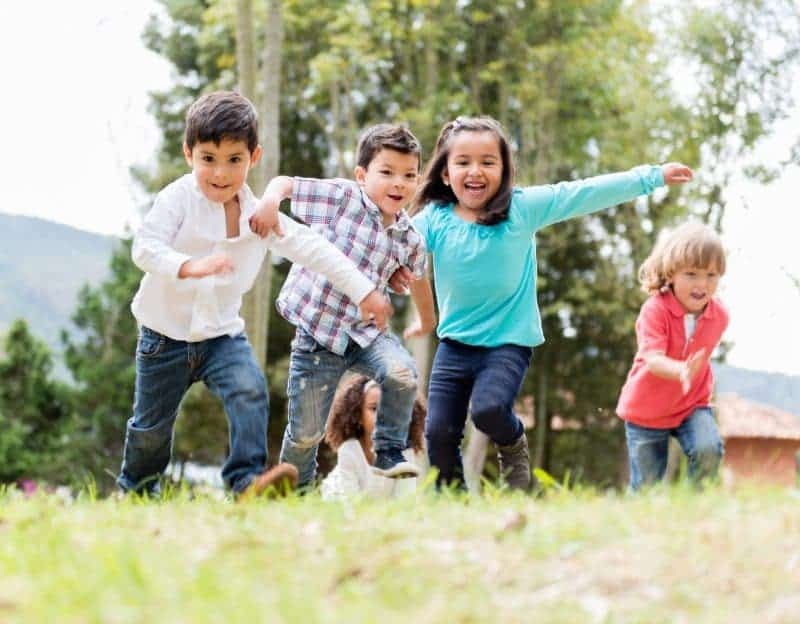 If you notice a group of kids playing outside, send your children to join them. After a while you can pick up your kids and hopefully meet their parents too. You can sent up a play date and get to know your neighbors while your kids go off and play. Great ideas!! I am so socially awkward at striking up conversations with people lol!! Thankfully our neighbors are pretty close so most of them we’ve met just by being outside playing 🙂 I love the idea of neighborhood party! !